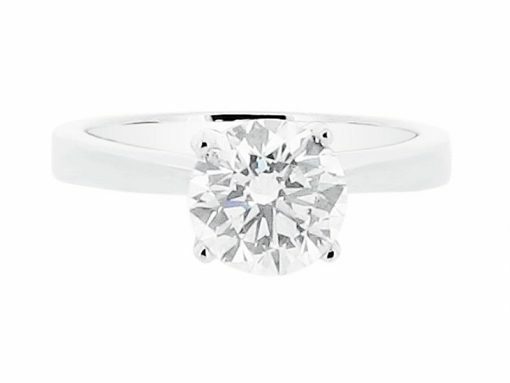 This round shaped diamond set high in its four claws is really the quintessential engagement ring. How many girls will have grown up dreaming of the day that their knight in shining armour presents them with such a magnificent piece? We hear stories and dreams everyday. It’s time for you to make your dream come true too! Love one of our rings but want to discuss a modification? We are delighted to discuss your ideas and quote for bespoke styles. You might like to add diamonds to the band of your favourite style, or simply have it made in two metal colours to make it extra special. 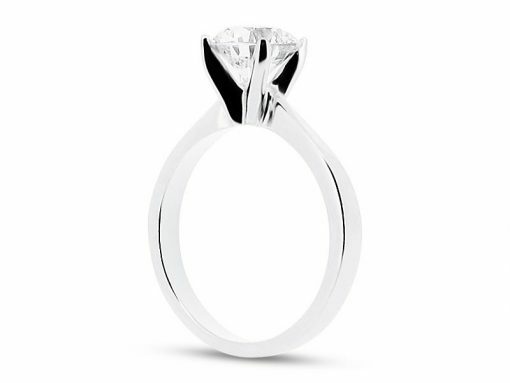 Voltaire Diamonds are based in beautiful and relaxing offices in Dublin 2. Make an appointment to visit us and start the journey to your dream ring.